Babele - Alfabeti di Viaggio is an online magazine edited by the Monti&Taft Group. It explores and examines a wide range of topics related to tourism, culture and innovation with a special focus on Italy and its peculiarities. The main fields of interest are contemporary tourism and its dynamics, the innovation technologies and the cultural aspects of the tourism phenomenon. 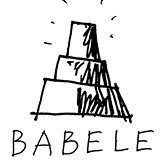 Babele provides readers with high-quality insights, galvanizing new ideas and tendencies.